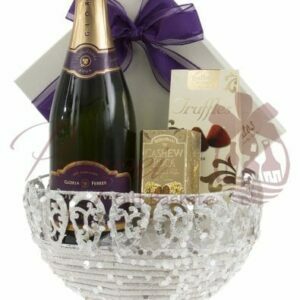 Chocolates and Champagnes are a prestigious way of saying thank you or congratulations. 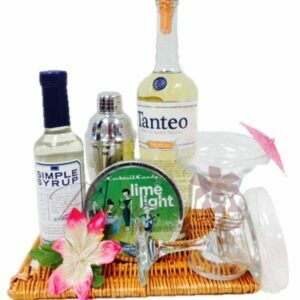 Weddings gifts, house warming gifts, or even a bachelorette gift all serve a fantastic purpose for this basket. 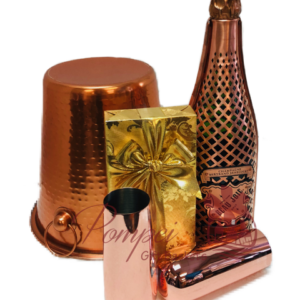 You are certain to stun your recipient with this lavish gift of The Dom Diva Champagne Gift Basket! 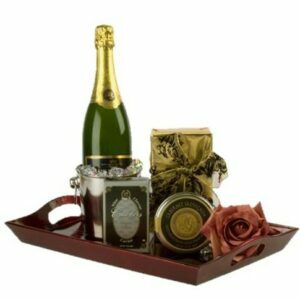 In a wicker basket comes a current vintage bottle of Dom Pérignon Champagne and a grand array of chocolate & cookies. 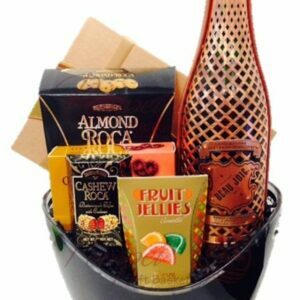 Godiva, Lindt, Ghirardelli, and other brands can be included but are not limited to. 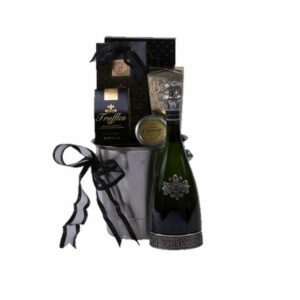 A champagne as prestige as Dom deserves only the best chocolates which is wide we paired it with world-renowned chocolates. 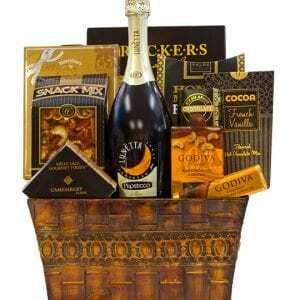 You’ll have a variety of Godiva products like truffles, chocolate bars, and chocolate covered pretzels. 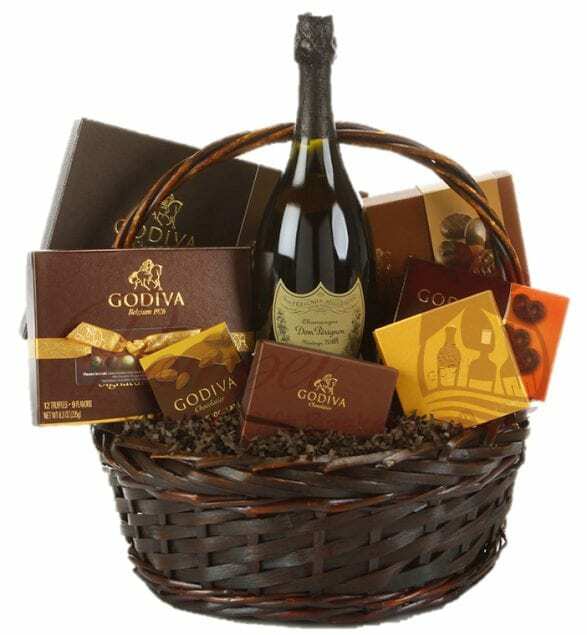 A Dom Perignon and Godiva gift basket aimed to impress and conquer. 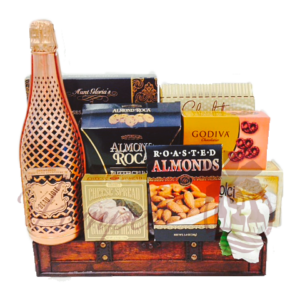 In a wicker basket comes a current vintage bottle of Dom Pérignon Champagne and a grand array of Godiva chocolates and goodies. 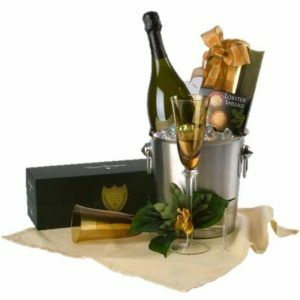 A champagne as prestige as Dom deserves only the best chocolates which is wide we paired it with world-renowned chocolates. 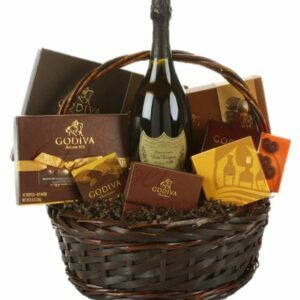 You’ll have a variety of Godiva products like truffles, chocolate bars, and chocolate covered pretzels. 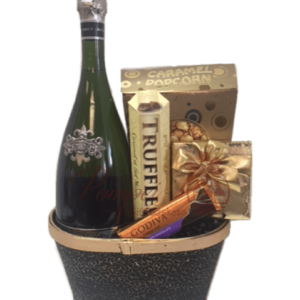 A Dom Perignon and Godiva gift basket aimed to impress and conquer. A monk and cellar master at the Benedictine Abbey in Hautvillers (north-east France,) Dom Pérignon pioneered a multitude of techniques for winemaking in the 1670s. 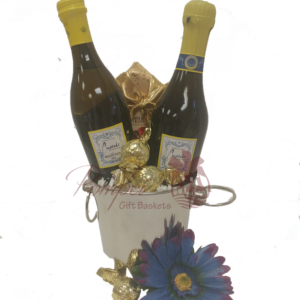 Being able to deal with grape’s flaws, he was the first to coalesce the grapes to improve the overall quality of the finished product: wine. 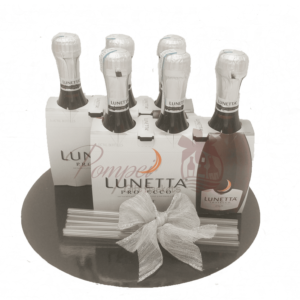 He captured the process of bottling champagne wines in order to capture the bubble and maintain their natural sugars. Pérignon also invented a technique to produce clear fluids from black grapes and introduced corks which were fastened with hemp strings soaked in oil. 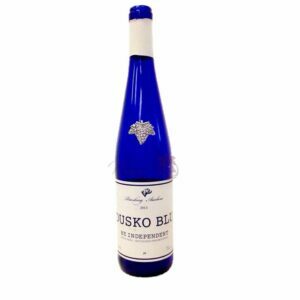 This kept the wines sparkling and crisp. 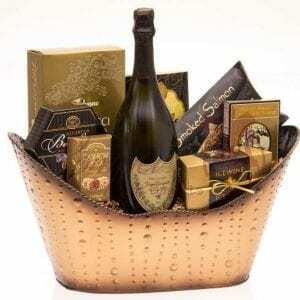 A true pioneer of his time, Dom changed the champagne game. 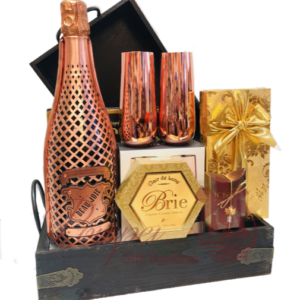 Price includes taxes & standard delivery The FLUTES can be engraved. Click HERE for options!